Hey - Check out some options below. The first option is straight text. If you like this option, then that's what I can do straight from this page and I don't even need to make pages that solely feature exercises from one category. 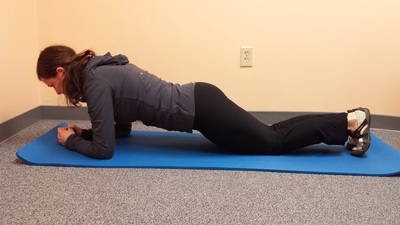 Plank on Foreams and Knees: Hold position with lower abdominal muscles sub maximally engaged to support lumbar spine. Maintain neutral spine throughout. 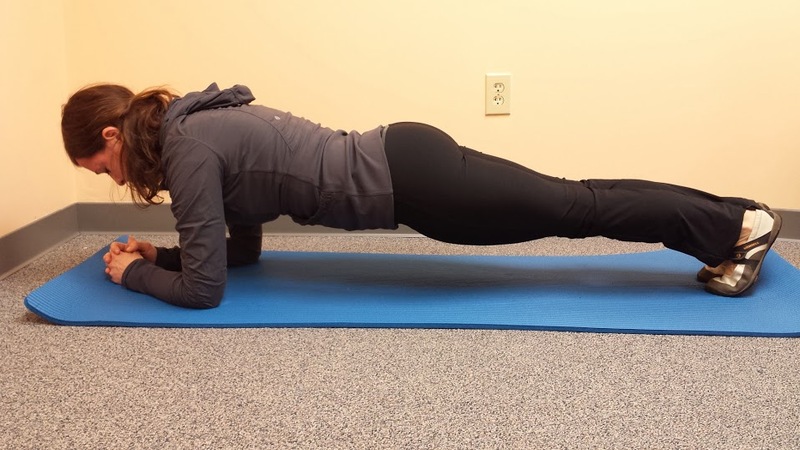 Plank on Forearms and Toes: Hold position with lower abdominal muscle sub maximally engaged to support lumbar spine. Maintain neutral spine and chin tuck throughout. 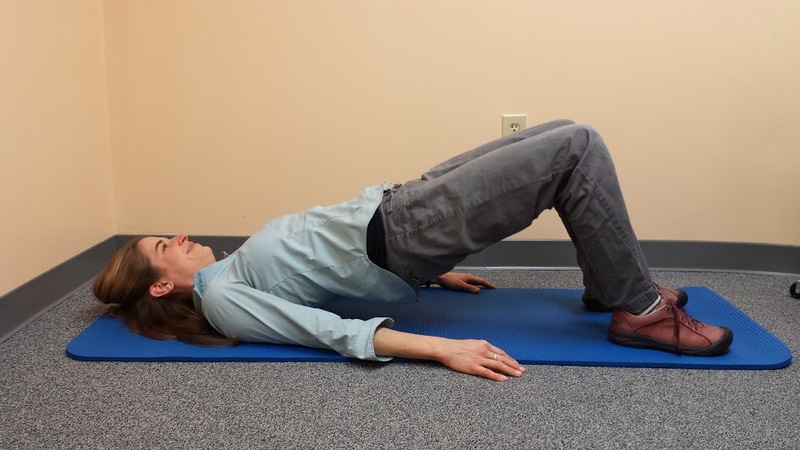 Pelvic Tilts: Picture your pelvis as a clock with belly button at 12:00 and pubic bone as 6:00. Tip towards 6 letting lower back raise and then roll back towards 12 flattening spine against floor. 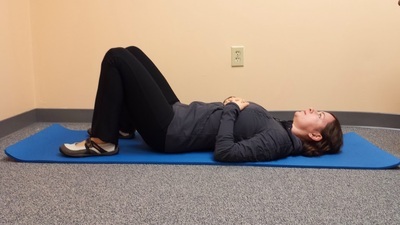 Transversus Abdominus Isometrics: Take a breath in and relax abdomen and pelvic floor muscles. As you exhale contract lower abdominal muscles as if pulling belly button toward your spine. Contraction is 30-50% of an abdominal muscle contraction and it is focused on lower abdominal muscles. Transversus Abdominus with Marches: Maintain lower abdominal muscle contraction (30-50% 0f full abdominal muscle contraction) while breathing. Start lying on your back with knees back. Slowly lift one leg a few inches off the ground and then place back on floor, repeat with next leg and continue alternating. 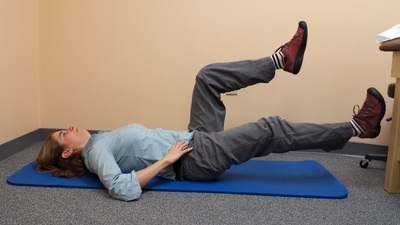 Pelvis should remain stable – only legs moving during this exercise. 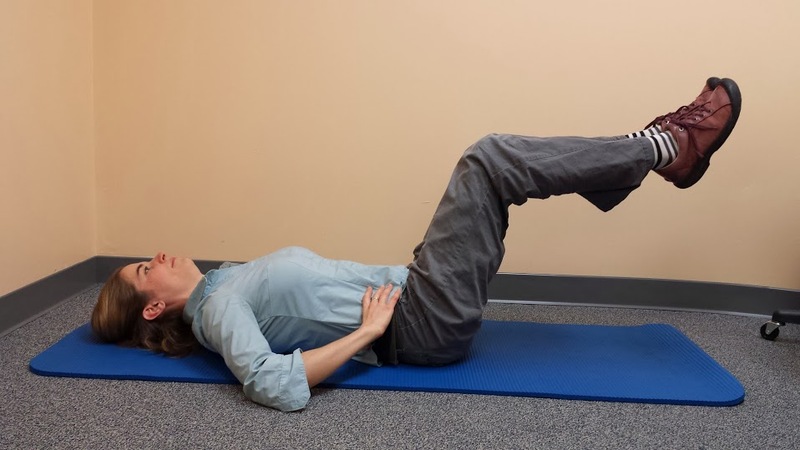 Transversus Abdominus with Heelslides: Maintain lower abdominal muscle contraction (30-50% of full abdominal muscle contraction) while breathing. Start lying on your back with knees back. Slowly straighten one knee and then re bend it. Set back in place and repeat with opposite leg. Pelvis should remain stable during this exercise. Transversus 90/90: Find neutral spine. Take a deep breath in. Exhale and move legs into position as if on a box. Hold as you exhale and then lower as you take a deep breath in to repeat. Bridge: Inhale. Exhale and roll pelvic back as if towards 12:00 and lift hips off the floor. Inhale and roll back to the floor. Keep knees over feet and hips level. Hands and Knees - Leg Raise: Position yourself on hands and knees squarely. Knees under hips and hands under shoulders. Flat back and neutral spine. Engage lower abdominal muscles. Slowly slide one leg back keeping toes on the floor. Hold for 5 seconds. Repeat on opposite side. Hands and Knees - Arm Raise: Position yourself on hands and knees squarely. Knees under hips and hands under shoulders. Flat back and neutral spine. Engage lower abdominal muscles. Slowly lift one arm keeping shoulder relaxed. Hold for 5 seconds. Repeat on opposite side. Bridge with Ball: Put exercise ball underneath lower legs. Lift hips off ground. 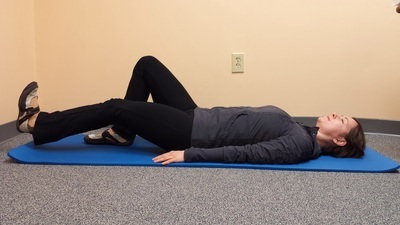 Transversus Unsupported: Lie on back with legs up - 90 deg at hips and 90 deg at knees. 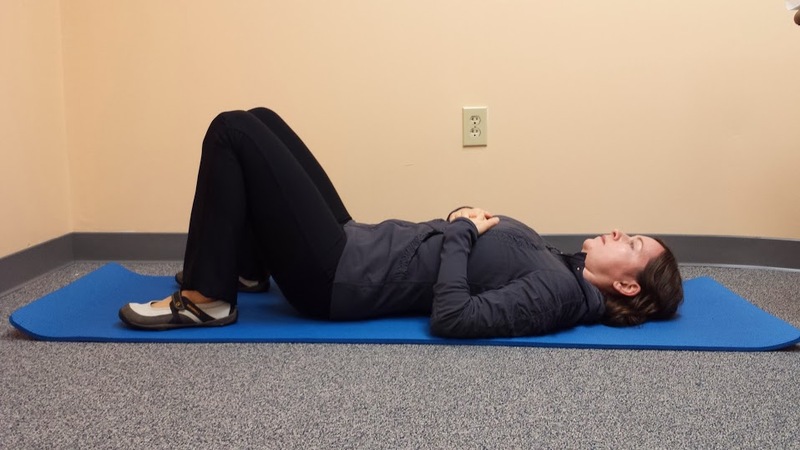 Hold position with lower abdominal muscles sub maximally engaged to support lumbar spine. Hold position with lower abdominal muscle sub maximally engaged to support lumbar spine. Maintain neutral spine and chin tuck throughout. Picture your pelvis as a clock with belly button at 12:00 and pubic bone as 6:00. Tip towards 6 letting lower back raise and then roll back towards 12 flattening spine against floor. Take a breath in and relax abdomen and pelvic floor muscles. As you exhale contract lower abdominal muscles as if pulling belly button toward your spine. Contraction is 30-50% of an abdominal muscle contraction and it is focused on lower abdominal muscles. Maintain lower abdominal muscle contraction (30-50% of full abdominal muscle contraction) while breathing. Start lying on your back with knees back. Slowly lift one leg a few inches off the ground and then place back on floor, repeat with next leg and continue alternating. Pelvis should remain stable – only legs moving during this exercise. Start lying on your back with knees back. Slowly straighten one knee and then re bend it. Set back in place and repeat with opposite leg. Pelvis should remain stable during this exercise. Find neutral spine. Take a deep breath in. Exhale and move legs into position as if on a box. Hold as you exhale and then lower as you take a deep breath in to repeat. Inhale. Exhale and roll pelvic back as if towards 12:00 and lift hips off the floor. Inhale and roll back to the floor. Keep knees over feet and hips level. Position yourself on hands and knees squarely. Knees under hips and hands under shoulders. Flat back and neutral spine. Engage lower abdominal muscles. Slowly slide one leg back keeping toes on the floor. Hold for 5 seconds. Repeat on opposite side. Flat back and neutral spine. Engage lower abdominal muscles. Slowly lift one arm keeping shoulder relaxed. 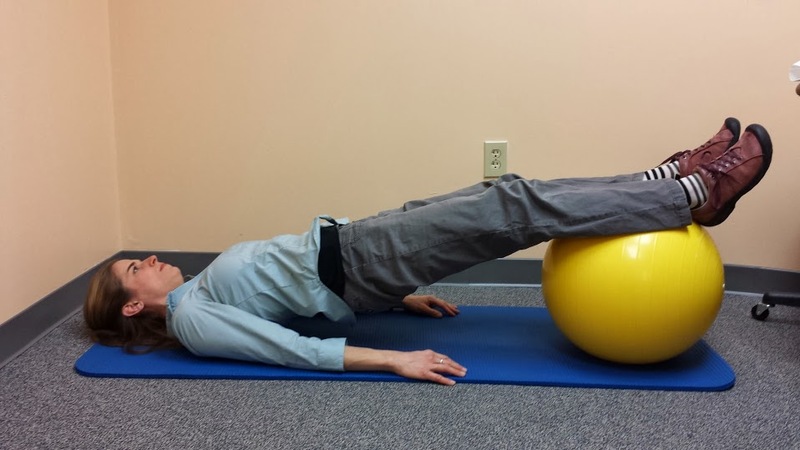 Put exercise ball underneath lower legs. Lift hips off ground. Lie on back with legs up - 90 deg at hips and 90 deg at knees.